Ganz served as Deputy Chief of Staff until recently. As of Friday, Maj.-Gen. Galant still saw himself as a candidate. 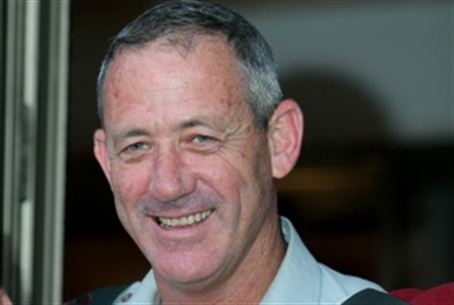 Defense Minister Ehud Barak is expected to announce tomorrow (Sunday) that Maj. Gen. Benny Ganz will be appointed as the 20th Chief of Staff of the IDF. The appointment will have to be approved by the Cabinet, and then by a committee headed by retired judge Yaakov Turkel, which will look into Ganz's record and give a final opinion as to whether he is fit for the job. Ganz served until recently as Deputy Chief of Staff. Earlier in his career, he was Head of Northern Command, Commander of the Paratrooper Brigade and Commander of Shaldag, a unit that - according to foreign news sources - operates behind enemy lines in directing missile strikes. Sources in the IDF estimated that Deputy Chief of Staff Maj.-Gen. Yair Naveh will stay on in his current role. Barak had named Naveh as a temporary Chief of Staff, giving rise to heated criticism from other ministers, who thought the right course of action would have been to let outgoing Chief of Staff, Lt.-Gen. Gabi Ashkenazi, stay on in his job for a while longer. They accused him of letting his personal rivalry with Ashkenazi get in the way of his professionalism. Saturday evening, after the Sabbath ended, the Defense Minister's bureau confirmed reports that Ganz will be the next Chief of Staff. "At this time," it stated, "the Prime Minister and Defense Minister attach great importance to removing the uncertainty regarding the appointment of Chief of Staff and to stabilizing the military by appointing a Chief of Staff to lead the army against the challenges we face." Maj.-Gen. Yoav Galant, whose appointment to be the next Chief of Staff was torpedoed at the last moment after the Attorney General said he could not defend it in court, said in a Friday night on Channel 2 that he believed the appointment was still valid. "The government will weigh my actions over the course of my career against the attorney general's words," he said. Galant's appointment was challenged in a motion filed by the Green Movement after the media created a storm over allegations that he had improperly annexed land to his private home in the past. A media appearance last week by the normally tight-lipped Galant shifted public opinion in his favor but was too late to prevent the success of the campaign against him.